To ensure zero incidents, you must make sure that your lifting magnets are in good functional conditions before every use. Initial, frequent and periodic inspections must be carried out thoroughly by qualified personnel. You can refer to our user manual and ASME B30.20. for more detailed instruction. 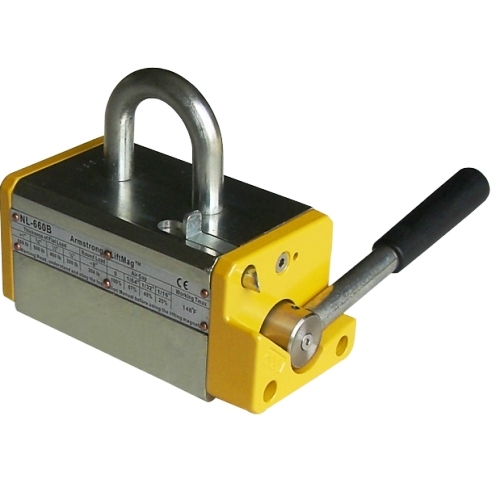 The steel plate lifting magnet shall have zero attractive force on OFF position and does not have any metal attached on its bottom pole face. The bottom surface should be smooth with minimal amount of scratches and dent. The top hoist ring should be in good condition. Watch out for any thinned section or cracks. The suspension rings of our NL-B series are all made of low carbon steel which is much tougher and more impact resistant than some of our competitors’. Check the handle and safety latch for smooth/proper operation. A good permanent lifting magnet should not have sticky handle rotation and/or latch release. Search for any deformation, corrosion, crack and wear of all parts and make sure that the information on the attached safety label is identifiable. On top of periodic inspection, the operating management should schedule inspection performed by qualified employee on yearly, semi-yearly or quarterly depending on the frequency and degree of usages and when the equipment has been idling. 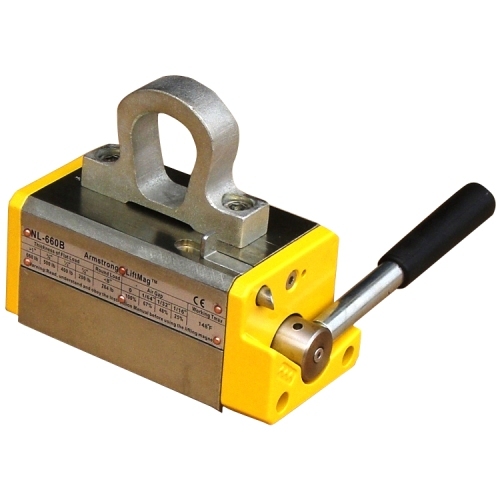 If tools available, test the lifting device on a 3” flat, clean, low-carbon steel plate for its lifting capacity, or you can send it to us to verify. If the magnetic lifting device is brand new, fixed or modified, the inspection procedures must be strictly followed before its initial hoist. Inspection is the end-users’ responsibility and should be mandatory to meet the ASME B30.20. compliance for the highest safety standard. If any concerns arise during inspection, the permanet lifting magnets must be put out of service right away and cannot resume work until issues are properly resolved. Detailed inspection information must be recorded and readily available, especially for those who may be involved in the lifting task or in its close proximity.